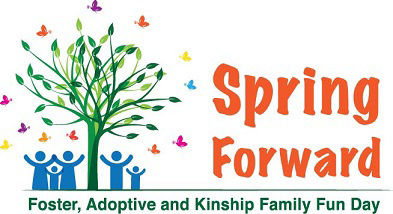 Register now for our 2nd annual Spring Forward family fun day for foster, adoptive and kinship families. Come hear Keynote address "Strong Families: Resilient Children: Better Outcomes" by Dr. Terry Morris, NASA engineer, child advocate and former foster youth. Learn more about Dr. Morris and his incredible, inspiring story HERE. Teens and young adults are invited to participate in an I'm Determined self-advocacy workshop led by youth leader Daniel Michael Lee. Virginia Department of Education's I'm Determined project helps youth take controi of their lives by building self-advocacy skills. Caregivers and parents are treated to great training sessions while the children are busy with supervised games and activities. Food, fun fair and nursery care are also included! We thank FACES of Virginia Familes and Fairfax County Neighborhood and Community Services for co-hosting this great family event. REGISTER now! Q: We just attended a reevaluation meeting for our 10th grader. The high school's evaluation of our son was much different from earlier evaluations done by the school when he was in 5th grade. My husband and I don't understand how the results could be so different. Can we get testing done by an outside evaluator? A: Yes! Under the federal special education law and state regulations, the parents (adoptive, foster, kin guardian or biological parent) of a child with a disability have the right to obtain an independent educational evaluation (IEE). When parents disagree in writing with an "evaluation component" conducted by the school, the school can 1) ensure that an IEE is provided at public expense to the family, or 2) request a due process hearing to show that its evaluation was appropriate. The school must provide to the parent(s) of a child with a disability, upon request, information about where an independent educational evaluation may be obtained and the criteria for IEEs. This is usually in the form of a list of private practices or providers who conduct evaluations (called "examiners"). The parent does not have to select an examiner off that list, as long as the examiner the parent chooses meets the criteria. The school must respond to a request for IEE "without unnecessary delay". The school can ask about the family's reason for objection to the current evaluation, but an explanation is not required. The Virginia regulations regarding IEEs can be found at 8VAC20-81-170 (B). Additional information about IEEs can be found HERE. Our friends at the PicMe project want to encourage adoption from foster care! Check out and share the beautiful video stories of foster youth and adoptive families in our region. The PicMe Project is a unique collaboration between the Metropolitan Washington Council of Governments (COG) Child Welfare Program and Joan Brady Photography. The project was developed as an additional recruitment activity to attract permanent families for children who are waiting to be adopted in foster care or are in need of lifelong connections before they age-out of foster care. Share the Project now and help spread the word! 10th annual Fairfax County Public Schools Special Education Conference, March 7, Alexandria. Stop by Formed Families Forward's booth and say hi! NAMI Northern Virginia Basics class, 5 weeks starting March 7, Arlington. Prince William County Schools Transition Fair, March 21, Manassas. Stop by and say hi to Formed Families Forward! Stay Connected! Be sure to Like us on Facebook and follow us on Twitter and get the latest news! Youth, get involved. Find the perfect fit for you! This spring brings a number of great opportunities for youth to learn and connect. On May 2, the Virginia Family Network Family and Youth Leadership Summit offers a youth track. A member of the ADHD Resource Group of Northern Virginia, CHADD of Northern Virginia hosts a March 18 ADHD College Readiness Workshop. NAMI of Northeen Virginia offers young adults a peer-to-peer class starting March 17. Alexandria city residents are invited to participate in Youth Voice Alexandria, a leadership and advocacy group for youth and young adults. Several private organizations offer groups and classes focused on important work and social skills. 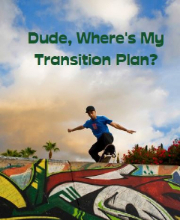 Finding Solutions Counseling is offering a Movin' On, Movin' Out group. Starfish Savers runs several Step Out classes. Don't forget our Formed Families Forward Stronger Together peer groups, two Thursdays a month.